Although I’ve been home for days my mind is still living in Batey Altagracia. Every morning I walk down my street in Oregon but if I close my eyes for one moment I’m transported back to the Dominican Republic. The paved roads turn into dirt, the impressive houses turn into tiny ones, and the preoccupied neighbors locked up in their homes turn into friendly Dominicans wanting to start a conversation. 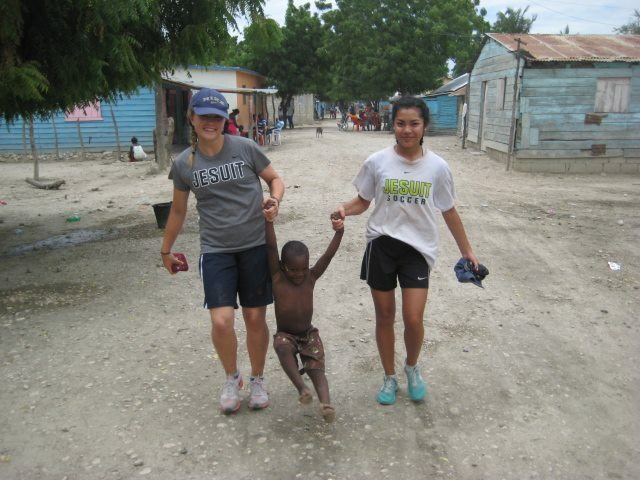 This trip has made such an incredible difference for me, it was undoubtedly the most memorable experience of my life. 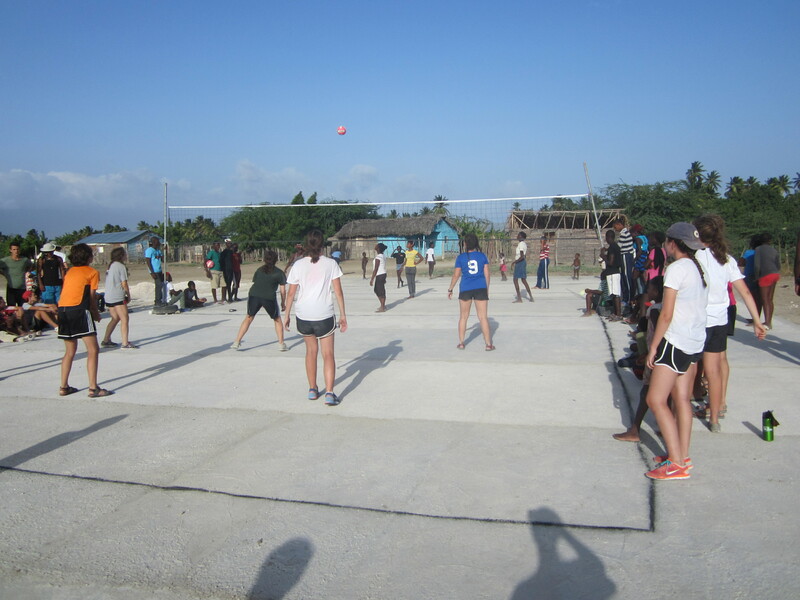 The reason that this trip existed was so that our group could help the community build a volley ball court for the girls of Batey Altagracia. 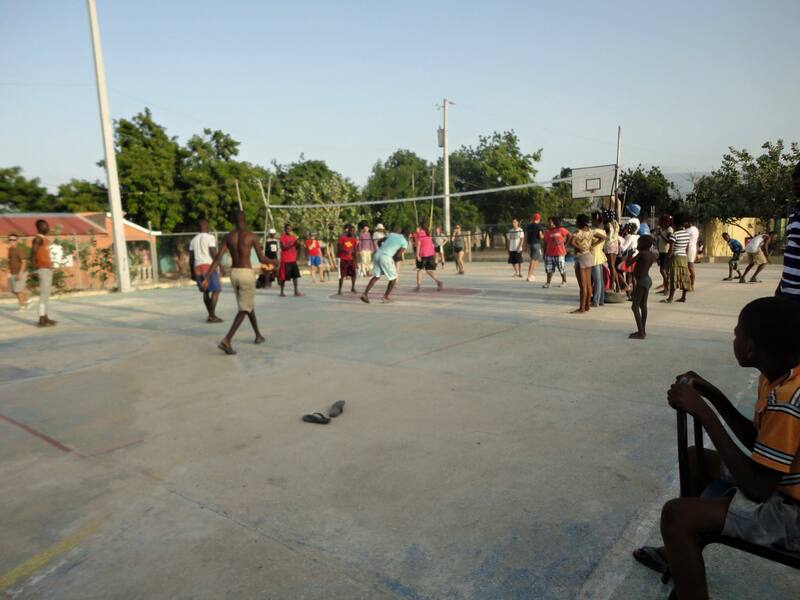 The community already had a basketball court but, due to misogyny, the boys would constantly kick the girls off the court and not allow them to practice. By building the volleyball court we hoped to encourage the girls to keep playing sports and work to overcome the adversity they face daily. Our typical workday consisted of shoveling, carrying water buckets, and mixing cement. 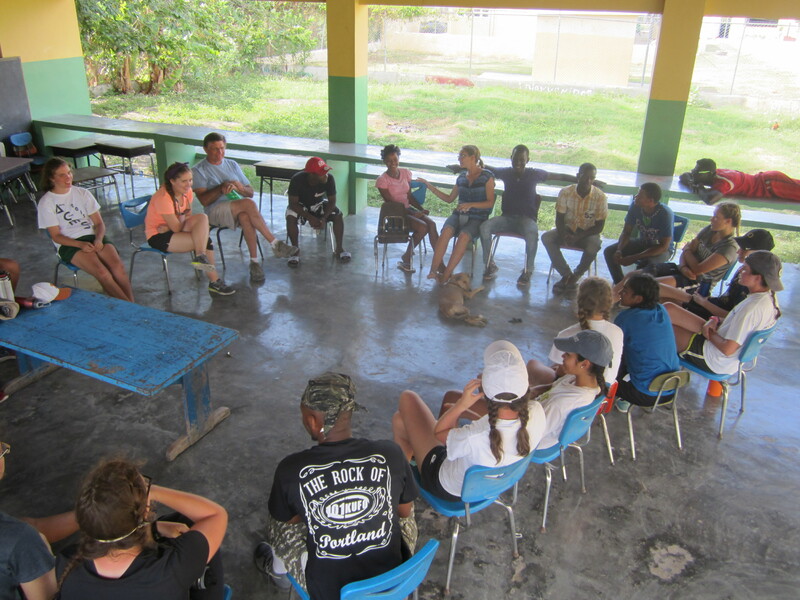 After a long day of work, the community would gather to play sports, talk, and dance. It was mostly through our hard work, our competitive sports, and our entertaining dance and rap battles that people from both communities came to see that although we all live very different lives, we are still so similar. The days we were not working we spent hanging out with the people in the community or traveling to various beaches, hiking trails, and going to places in the capitol. 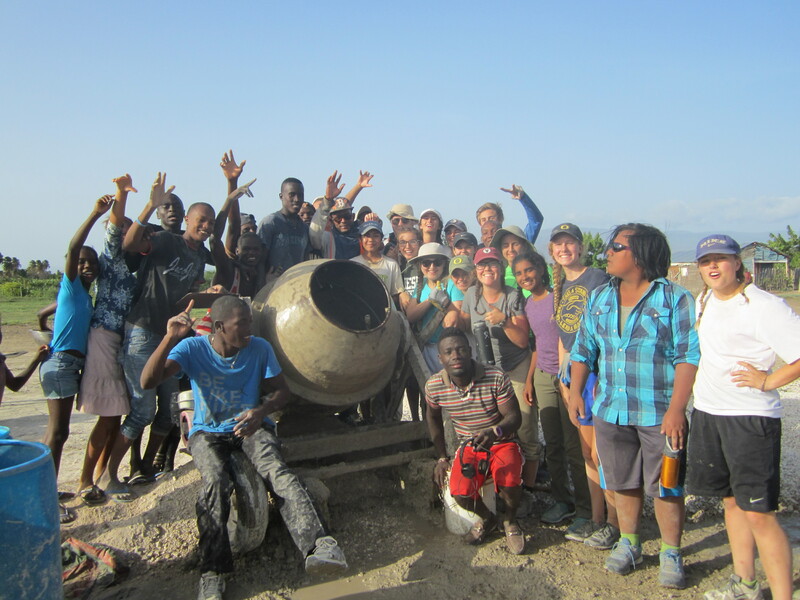 These adventures enabled us Americans to further learn about the culture of the Dominican Republic. Homemade Shade! Our work rest spot. From day one I was shocked by how much discourse there was within the community. In addition to witnessing the most extreme poverty I’ve ever seen, I saw people discriminating against each other based on gender and race, children getting in fistfights over the attention of Americans, and adults spanking and yelling at children – as it was the only way the kids would listen. I also learned about many underlying issues within the community such as children not being able to finish their education, girls marrying at age fourteen, and most people not having even the smallest chance to pursue their dreams. 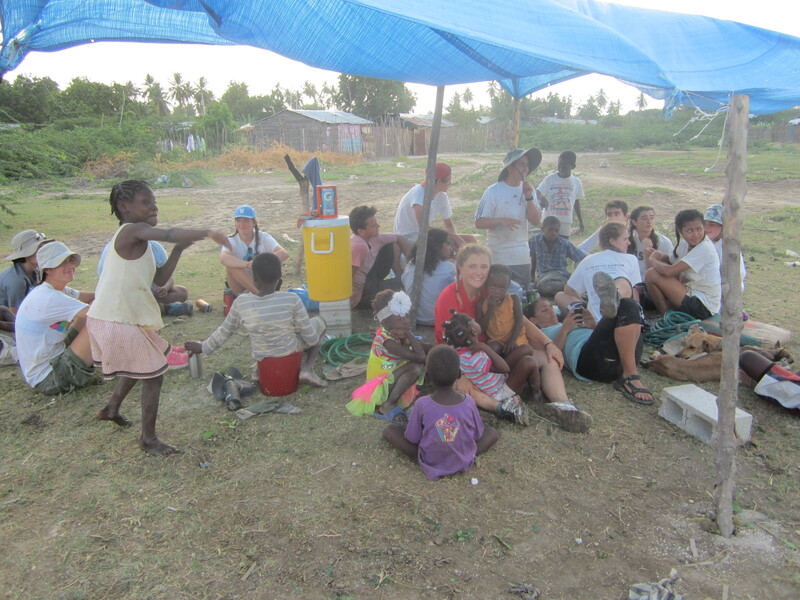 Yet, looking past all of this chaos, I was astounded by the unity of Batey Altagracia. This community was like a large, caring, at times dysfunctional, family that stuck together through thick and thin. The love each person had for another surpassed any differences between the two people. No fight or argument ever seemed to lessen this closeness. 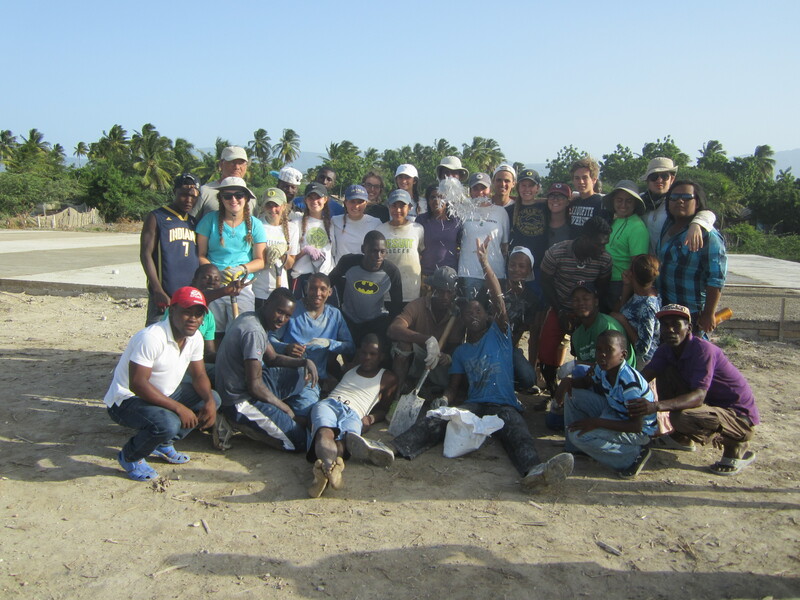 In the end, the people of Batey Altagracia would always be there for each other when it counted. I am so thankful that I had the opportunity to witness this community and be a small part of it for a few days. Coming back from this trip, one of the biggest realizations that I’ve taken away is how similar we all are and how different our circumstances make us. I remember a conversation I had with one of the rare locals of Batey Altagracia who had gotten the chance to get a good education. We talked hypothetically about what our lives would be like if we followed all of our dreams. We would be pilots, and runners, and world travelers, we’d have families, and a good education, and learn so many different languages, and experience so much of the world. Slowly, the conversation shifted to what would you do if you lived in America, and the answers remained the same. Lying out in front of me was the bittersweet realization of how limitless my life is compared to so much of the world. I never truly comprehended just how easy I had it. And yet, it was the local I was talking to that ended the conversation by saying, “I really love my life and I can’t wait to experience everything”. Free Time = Sports Time! 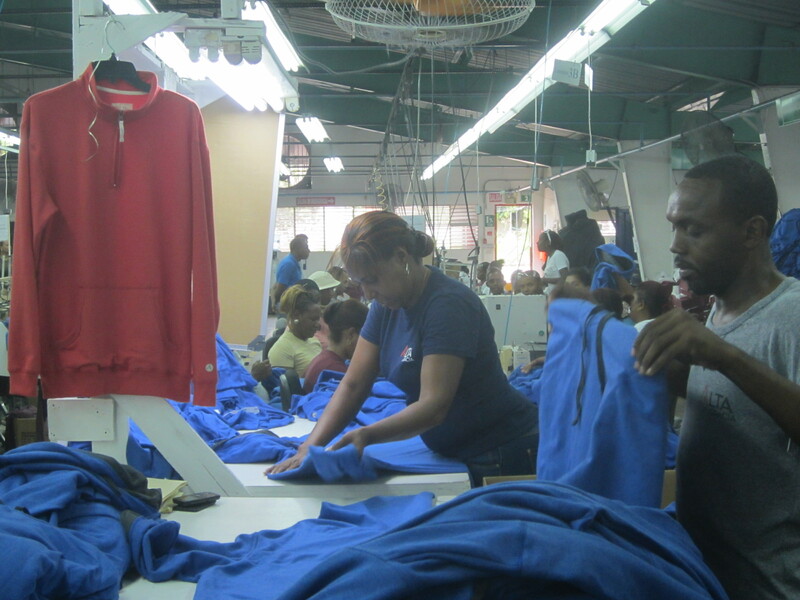 Visiting the Altagracia living wage factory.